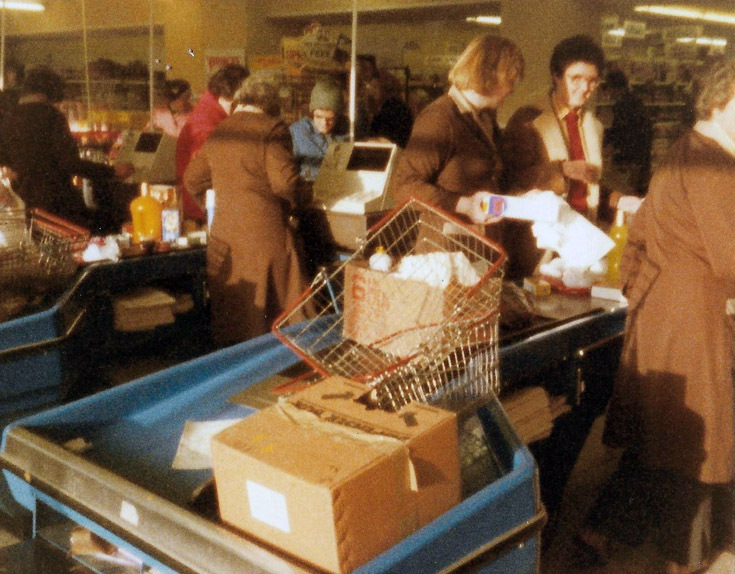 This picture shows my mother, Fay Mackenzie, working in MacGregors, supermarket, around early to mid 1980s. She is on the far right with her back to the camera. Others in the photo may recognise themselves. Hi Heather, I left Inver-g in 1959, at that time Macgregors was located at the corner of King Street and the High street with Boyd's on the other corner. Is this where this picture was taken ? When I made a trip back in 1976 there was also Rhynds on the corner of High and Bank streets, in the former Mackenzies (Naxi's) shop. Also a supermarket set-up of sorts.